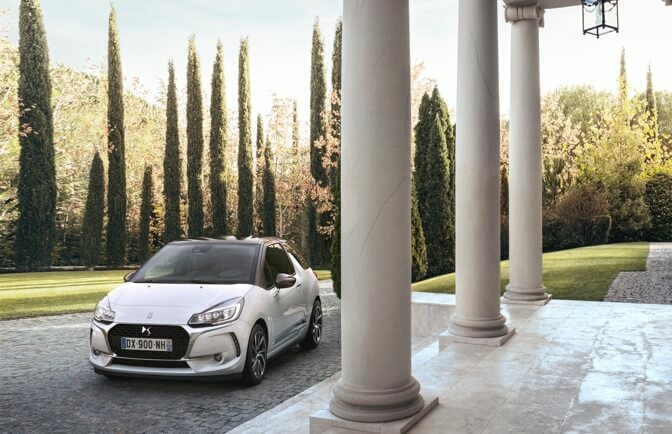 The DS 3 hatch has been given an elegant facelift, with a bold new hexagonal front grille, 3D-effect tail-lights and angular bumpers – as well as the signature floating roof design and emblematic sharkfin flicks to enhance this little icon’s considerable kerb appeal. Enjoy Mirror Screen functionality with both Android and Apple devices to keep you safely in touch with the outside world. A 7-inch colour touchscreen gives access to your main vehicle controls, and there’s even a voice text function so you can reply without taking your attention off the road for a moment. 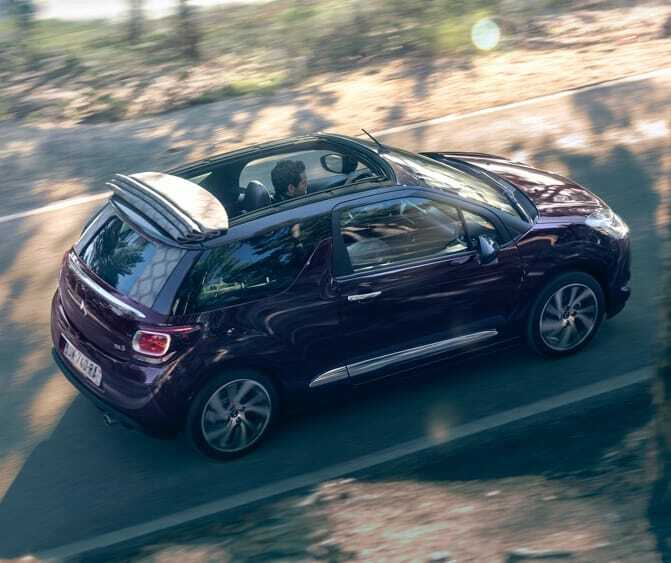 Don’t compromise your personality – express yourself with a rainbow selection of body colours, roof colours and interior trims to make your DS 3 uniquely yours. Inside, the fun doesn’t have to take a backseat, with some new finishes and a splash of colour to add dimension to the dash. 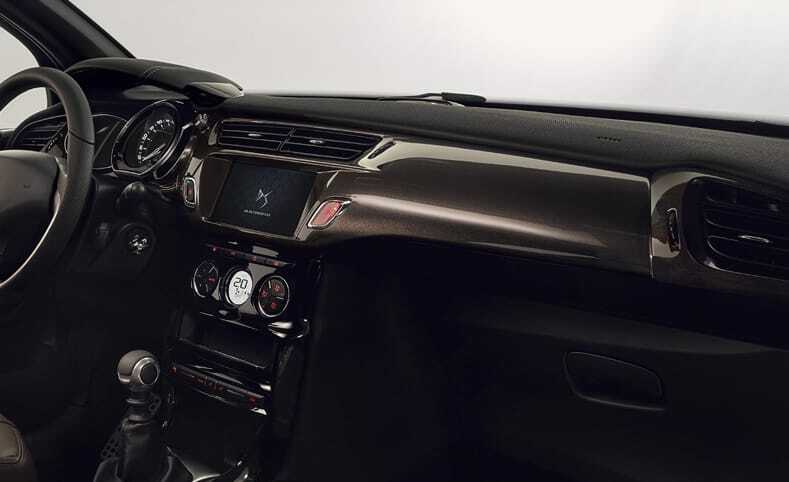 Everything has been designed with comfort in mind – with premium materials, superb noise reduction and a raft of extras to hone your driving experience. 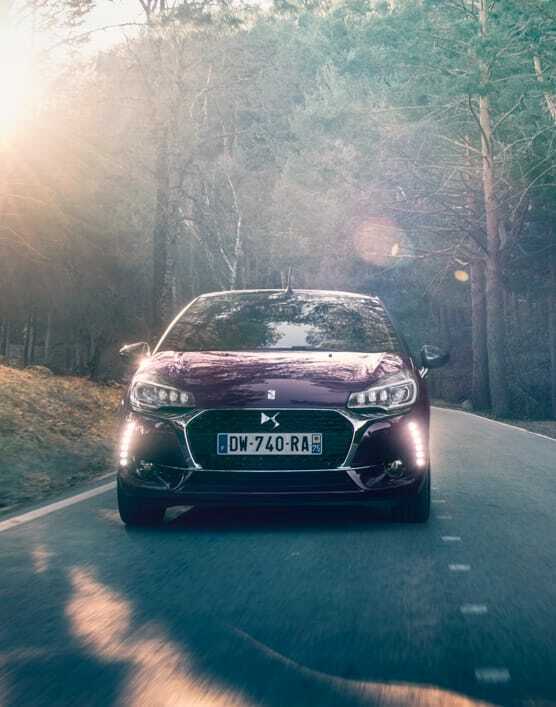 The new DS 3 has a reversing camera, front and rear parking sensors and hill start assist to take the strain out of manoeuvring, and its agile build and tuning make it a dream to drive, whether it’s nipping through urban traffic or cruising on the motorway. A superb range of engines includes the PureTech 110 S&S with a six-speed automatic gearbox, the PureTech 130 S&S, which boasts the lowest emissions in its class, and the BlueHDi with a six-speed manual gearbox for performance and efficiency. 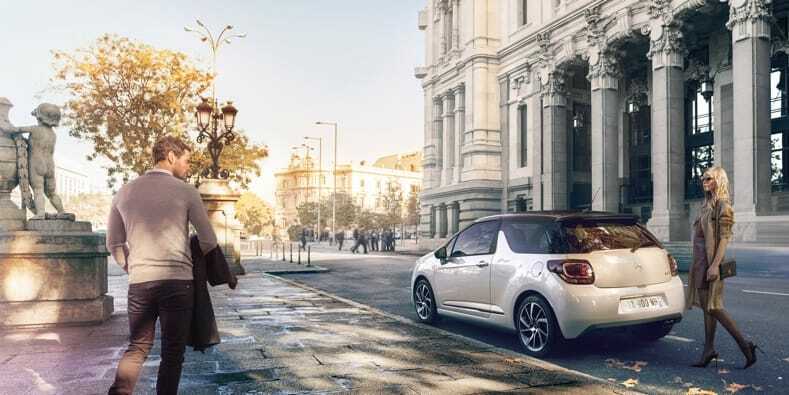 Equipped with an Active City Brake system, the DS 3 actively senses and detects obstacles, braking safely to avoid collision or reduce speed at speeds of under 18 mph. There’s also cruise control and a speed limiter to make longer journeys a breeze. 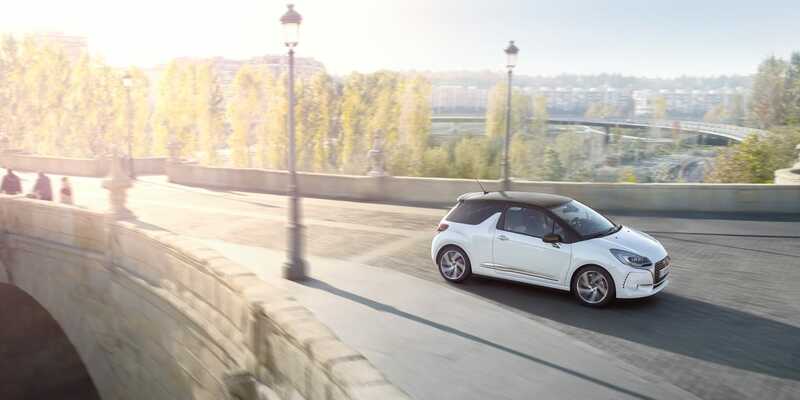 Lift the lid on your driving experience with the new DS 3 Cabrio body style. With room for up to five adults, the Cabrio’s roof can be opened at speeds of up to 70 mph, just perfect for sunny days and night drives under a blanket of stars.